Careers in England after the fire of 1660 were determined by family connections and patronage relationships to key figures who held power of appointment to institutional positions. There were networks of allegiances, ties of patronage and kinship within the circles of aristocratic and gentry families. John Wingfield’s most important career choice was his marriage to Mary Owen, daughter of George Owen, a member of one of the leading families of the Welsh gentry in the country of Pembrokeshire. George Owen was a member of the College of Arms, as was his father before him. The Owen family had connections with the Vaughn family (the Earls of Carbery). The third Earl seems to be a key figure in the careers of George Owen and John Wingfield in the 1660 and 70s. The Owens and Vaughns are linked as members of leading families of their region of Wales, in a century of prosperity, building estates, holding local offices and marriage to heiresses of aristocratic families. The second George Owen, as a member of the College of Arms, executed a splen­did parchment roll for Richard Vaughn in 1641. Both Vaughn and Owen were royalist officers at the start of the English Civil War, but later shifted their alliances to Parliament. Vaughn’s estates escaped sequestration. Owen was nominated as Norroy Herald by Cromwell. Cromwell also nominated Owen’s son-in-law, John Wingfield, as Richmond Herald, but this appointment was never car­ried out. At the restoration of the monarchy in 1660, Richard Vaughn, George Owen and John Wingfield all received official posts. It is easy to see that the careers of John Wingfield and that of his children were clear­ly tied to George Owen and the Vaughn family. This is evident with regard to the Col­lege of Arms, the Customs Service and the military career of his sons. On July 27, 1660. Wingfield was ap­pointed Portcullis Pursuivant at the College of Arms. Three years later Owen sur­rendered his office of York Herald to Wingfield, his son-in-law, and retired. 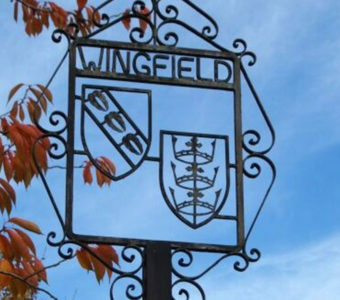 Wingfield held the post until, due to his in­debtedness, he was allowed to take the unusual step of selling his office in 1694 to Robert Devenish a family connection. Owen’s kinship connections with the St. George family, important in the College of Arms was of major influence. Rebecca Owen, the mother of Mary Owen (John Wingfield’s wife) was the daughter of Sir John Dayrell of Buckinghamshire. Rebecca’s sister was married to Sir Henry St. George, Garter King-of-Arms. 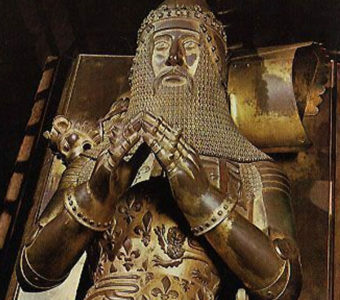 Three of Sir Henry’s sons were also heralds. Mary Owen’s uncle was a herald, as were three of her cousins. 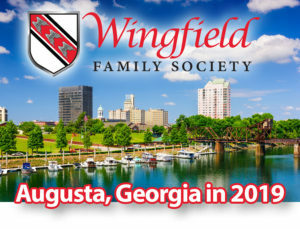 John Wingfield’s Upton relatives also mar­ried into the St. George family. Jocelyn Wingfield of London suggests that Roger Boyle, Earl of Orrery played an influencing role in Cromwell nomination of John Wingfield to herald in 1658. On July 23, 1664 Owen and Wingfield were together appointed Custom Collectors in Milford Haven, the chief port in southwest Wales. While not proven, it seems likely that these posts were obtained through the patronage of Richard Vaughn. In 1660, Richard Vaughn had control of the patronage for many official posts in the Welsh counties. I suggest from the evidence it was an Vaughn’s recommendation that George Owen and later, John Wingfield, were appointed as Customs Collectors. 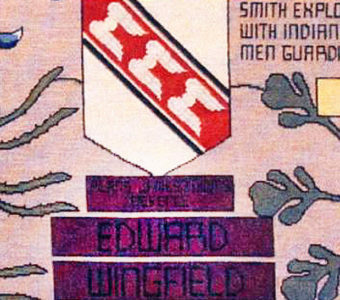 John Wingfield lost both income and his post as the control of customs patronage was in principle shifted to the treasury. The Royal Army also operated through patronage, controlled by the Crown. Com­missions were granted and sold. In 1673 John Wingfield purchased a commission for his son in Lord Vaughn’s regiment in France. A commission required a patron usually as “rewards” for particular services or to a political faction. This patronage centered around several clusters of family ties and political allegiances. Colonels appointed their own officers and troops, often from among friends and relatives. Captains actually recruited the troops. 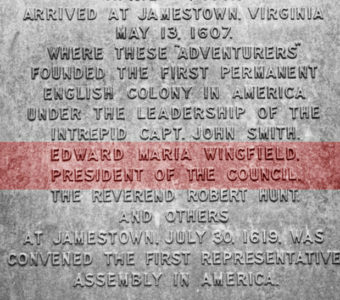 John Wingfield’s wife Mary was George Owen’s heiress. Owen died in 1665 and his wife Rebecca in 1668. Mary and John Wingfield presumably acquired substantial property, especially in Pembrokeshire. But the plague resulted in loss of customs revenue, and Custom Collectors went bankrupt. The fire of London burned the records so collections were difficult if not impossible. The several wars in the 1660 and 1670s hurt overseas trade. The government’s own financial plight meant that salaries were unpaid. Treasury records con­tain references to John Wingfield’s appeals for payment of his fees, including one appeal from his wife, Mary Owen. 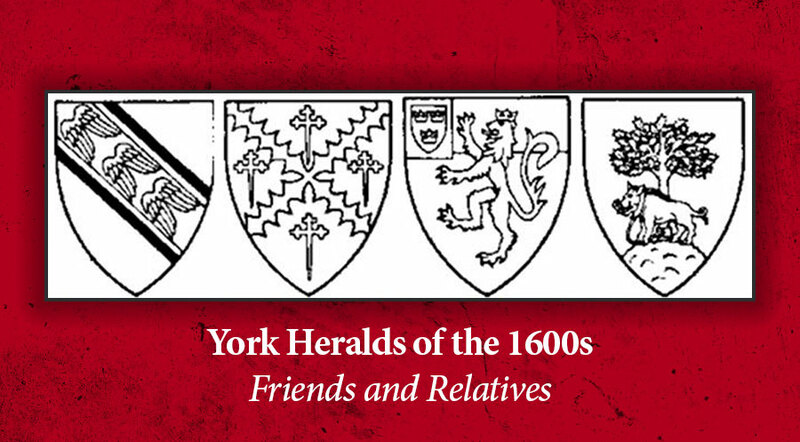 In November 1674-, he received payment as part of hisfees as York Herald, which were four years in arrears. In December, 1678 he died in the King’s Bench debtors prison. 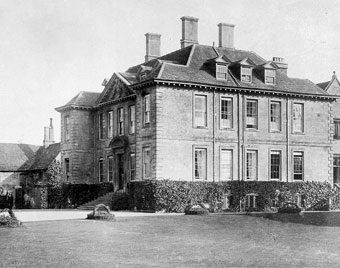 Editor’s note: John Wingfield was born 1619 the 3rd son of Sir John Wingfield of Tickencote. He was educated as an attorney, Captain of Horse in Royal Army 1641-1648. On July 10, 1678 purchased commissions for his oldest sons. Thomas the youngest was 14 in 1678, the year his father died. Thomas considered the ancestor of many Wingfields in the USA, is said to have settled in York River, Va. in 1680.